When it comes to class A motorhomes, there are the gas models and the diesel models. Whichever you decide to choose, you have many further options. There are a lot of manufacturers who make both gas and diesel versions of their class A motorhome models. While a diesel motorhome has a higher price (sometimes double) than a gas motorhome, it has also a lot of benefits that the other type lacks. First of all, vehicles with a diesel engine are more fuel efficient. A diesel motorhome can go about 8-14 miles on a gallon, while a gas RV only 6-10 miles per gallon. That makes quite a big difference when you are traveling all around the world. If you have spent a lot of money to buy a diesel RV, you can get some money back by saving on fuel. A diesel RV will always have a stronger power when it comes to towing or driving. It can carry heavier loads and while you drive it will feel much smoother and easier. Such vehicles can reach a higher horsepower than the ones working with gasoline. While you pay a higher price for a diesel class A motorhome, in the end you pay for a more comfortable vehicle and home. Since RVs that work with diesel have raised rail frames, they offer more storage space. This way you don’t have to think about what to bring along to your travels, because there will be plenty of space for the whole family and everyone’s stuff. Even driving is more comfortable in such a vehicle, because it has air ride suspensions which make driving much smoother. Maybe it is surprising, but keeping their high prices in mind, it is better to invest into diesel class A motorhomes than into gas ones. They require major engine work much less frequently than RVs that work with a gasoline engine do. If you would like to use your RV for a long time, this is an essential point when making a choice. There are several popular manufacturers that are experts in making class A diesel motorhomes, such as Fleetwood, Monaco and Newmar. 42” LCD living room TV, 32” LCD bedroom TV. 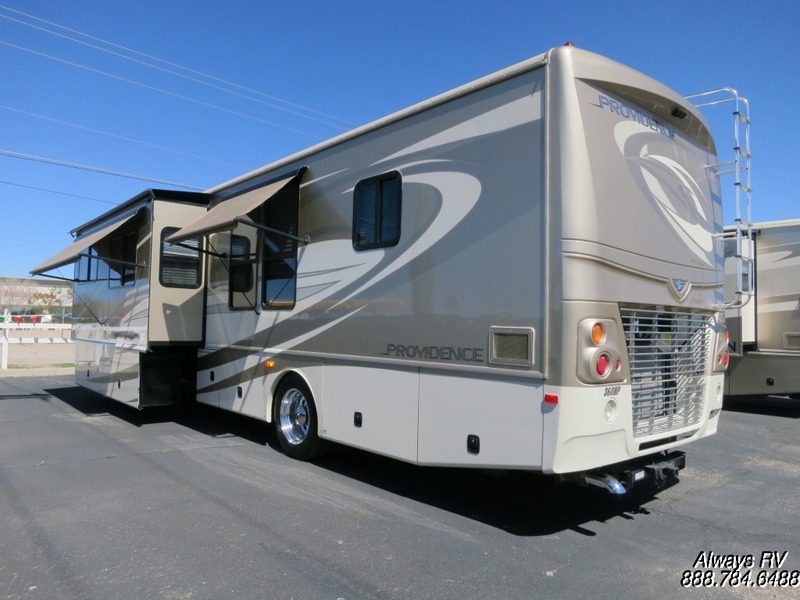 You have decided that you want a 2008, luxury class A, RV and now you need to decide whether to get a gas powered or diesel class A RV motorhome. A diesel pusher is an RV with the diesel engine in the back of the rig. This makes it run quieter,, you can haul more cargo, and a super transmission and PAC brakes, makes driving in the mountains a piece of cake, which is a blessing when you are Rving in the Colorado ski country. Diesel motorhome are more expensive than gas units, but give you better mileage than gas. Oil changes for a diesel can cost more than $200.00. Why not attend the 2007 Fall RV show in Tampa, Florida, to talk to other RV’ers about their diesel rigs? Most will tell you that for a big motorhome diesel is the better choice. Maybe we will meet you there.